An artistic delight that makes its audience grow. On the year’s biggest night for movies, there’s only one film that deserves to take home kudos for Best Picture, and that’s Call Me by Your Name. Other nominees for Best Picture include groundbreaking films that chronicle important pieces of history or pave the way for a more diverse future of cinema, but nothing quite measures up to director Luca Guadagnino’s beautifully made coming-of-age love story. The film is unique, sublime, inspired, beautiful, and totally refreshing in a cinematic landscape that often feels like a derivative and overwrought slog. Call Me by Your Name surprises its viewers as a piece of escapist storytelling. In short, it does everything that objective good art should do: entertain and inspire us with a well-crafted story about the human condition. What else could possibly qualify a film for “Best Picture”? Call Me by Your Name follows the peculiar and precocious Elio Perlman (Timothée Chalamet) one summer as he explores his burgeoning sexuality at the age of 17. He lives in a quiet rural home in the north of Italy in 1983. His father is an archaologist and professor. 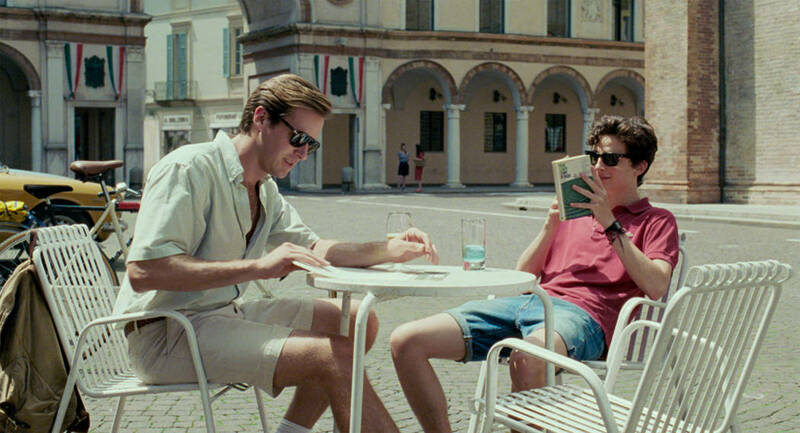 Elio’s life is a blissfully lazy daydream … until Oliver (Armie Hammer), his father’s new research assistant, arrives. What evolves is a story about love, self-exploration, and acceptance. Elio Perlman (Timothée Chalamet) plays a restless 17-year-old boy on the brink of adulthood in 'Call Me by Your Name'. The stunning beauty northern Italy is nothing short of a delicacy for the eyes, one that cannot be analyzed or refuted because it’s presented as an undeniable truth. Especially for American viewers, the film represents the pinnacle of cinematic European voyeurism, putting forth the setting as a visual delicacy. Think of roaming Vienna in Richard Linklater’s Before Sunrise movies or 1920s Paris from Midnight in Paris; It’s a lot like that, but better. In this way, Call Me by Your Name thrives with feelings of escapism. While you watch, you step into some kind of bubble universe where the worst possible thing that happens is boredom in paradise and maybe a little bit of heartbreak. Oliver and Elio hanging out in the nearby town. It being summer means most characters walk around in minimal clothing, which only enhances the sexual tension that builds over time. As Elio, Chalamet is constantly restless and uncomfortable in his own skin, sneaking furtive glances at Oliver and gradually realizing his feelings. Meanwhile, Armie Hammer waltzes through each scene with the enviable confidence of a man who knows damn well that’s he’s brilliant and handsome enough to never meet a closed door in his life. He falls just short of arrogance by being incredibly earnest throughout. Chalamet delivers an intensely relatable exploration of his sexuality that makes even the viewer feel vulnerable at times, partly because you’re afraid of how this story of forbidden love might end. The family pool looks like something our ancestors probably bathed in. That’s also where the relevance of the time period really kicks in: 1983 is just before the global AIDs epidemic kicked into high gear, when homophobia started to become explosive. Because the viewer brings this knowledge into the experience — and the aforementioned feelings of vulnerability — you sit through the middle sections of Call Me by Your Name with an overwhelming sense of dread. When is this bubble universe going to burst? What might turn the blissful dream into a nightmare? We’ve been conditioned by other stories featuring homosexual love affairs — like Brokeback Mountain and Moonlight — to brace ourselves for trauma. The situation is only further complicated by their age difference: At 17, Elio’s on the cusp of adulthood. Oliver is 24-years-old. Their relationship is meant to simultaneously creep us out with thoughts of pedophilia while also convincing us that this romance is genuine, consensual, and not something we have to judge. Call Me by Your Name challenges our preconceptions and pushes us in ways that help broaden our horizons. We spend most of the viewtime bracing for anger, violence, sickness, or even death. What if the story does end with one or both of them contracting HIV? What if Oliver truly is a creep taking advantage of a young boy? What will Elio’s parents say and do when they find out? Your anxiety and anguish builds with Elio’s until you both realize that everything’s going to be okay, even if it doesn’t feel that way at first. Such is love, and such is life. Mr. Perlman (Michael Stuhlbarg) is a total gem as Elio's father. When Elio’s father (Michael Stuhlbarg) finally does have a candid chat with his son, his monologue winds up a beautifully warm communication of acceptance and understanding. The scene alone is worth the price of admission for this movie, and it leaves most audience members in tears. Viewers owe Call Me by Your Name something close to reverence because of superb acting, a gorgeous setting, a beautiful soundtrack, and a heartwarming story that everyone should know. It’s an inspiration for what’s achievable in the cinema, but on a more human level, it can help us all grow as people. Is there anything that could possibly be more important and deserving of “Best Picture” than that? Call Me by Your Name is still in some theaters, and the 90th Academy Awards take place on March 4, 2018.